Made to Order In Volume. 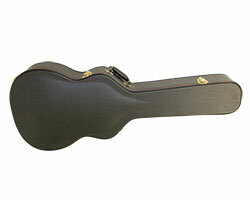 Custom Guitar Cases and Other Music Cases for Universities, Schools and Resellers too in Bulk. 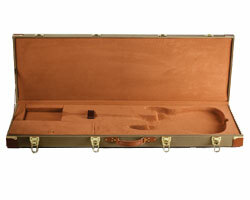 Remember seeing band kids fumbling with music cases when you were in school? Serious musicians took their instruments home every day, which meant more than a few kids wrestled with a large, heavy, bulky case on the way to and from school. Hauling the instrument back and forth to practice is the key to becoming a long-term musician. 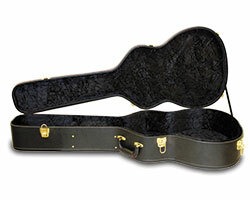 A good case not only protects the instrument, it can make a big difference in how long the product is used. 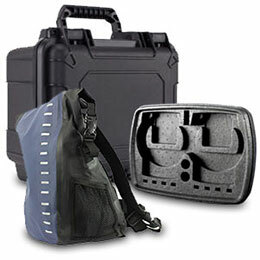 That’s why Royal Case offers the very latest in contemporary design ideas for instrument portability and protection. Our cases look great, and hold up to the rigors of travel, storage and daily use. But perhaps most importantly, our cases are designed to be carried, not wrestled with. 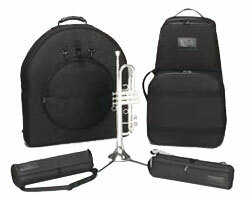 Features like shoulder straps and extra-thick handles make hauling a snap for both students and professional musicians. 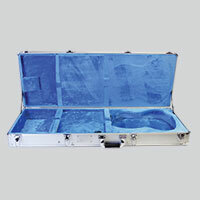 Our soft cases are economical and offer limitless design possibilities, which is why they are the first choice for many instrument manufacturers. 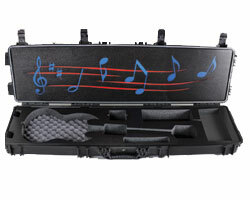 The lightweight protection offered by soft cases make them a favorite among both professional and beginner musicians. Royal Case designs with everyday use in mind. That’s why features such as the front pouch on an alto sax case compliment the product by offering additional convenience beyond protection. Mouthpiece pouches and other accessories may be custom imprinted with your logo in a variety of ways. Get a quote on your custom project now and find out why more people choose Royal Case Company every day for all their case needs. 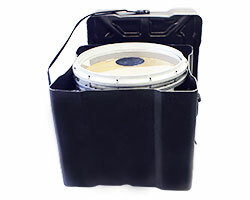 Give Your Music Instruments the Royal Treatment. Enhance your product with custom cases from Royal Case Company. 5 New Products Brought to Market Daily. Less than 1% Rejection Rate. Berry & DFARS compliant, ITAR registered. Centrally Located in the USA. Specializing in Quality & Volume. 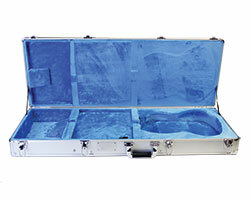 We Create Custom Instrument Cases for a Variety of Companies. Call us today! Full Service Manufacturing Gets the Job Done Right. 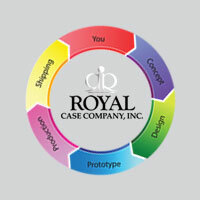 From design to delivery, Royal Case Company manages the entire lifecycle of product development. A quality product begins with quality design. Our CAD designers will work with your drawings to ensure a custom fit every time using professional tools like AutoCAD and SolidWorks. Our finishing options ensure that your product is uniquely yours. There are many options to choose from and Royal Case will help you choose the best ones to set your product apart from your competition. We have over 25 years of experience in warehousing, logistics and inventory management with warehouses in the USA, China, Thailand, & the UK. Our just in time ability gives you a competitive advantage. Get a Free Sample For Review. Make your request now and we'll get your item in the mail within 24 hours. Create your high volume custom product with us! This is the first step towards creating a quality product. Be specific but write in detail about your product or idea. After completing the form a representative will contact you within 24hrs to discuss your project. Quotes requested from personal email accounts like GMAIL and YAHOO will be ignored. Tell us about your project, Please include information about what will go in the case, approximate quantities, size and estimated delivery date. For soft cases, please indicate materials, colors, handles, linings, zippers, pockets, straps, padding and/or loops information. In the case of foam please indicate type PU, PE, EPE, or Crosslink if known. Accepted file type: dxf, dwg, jpg, ai, eps, pdf. For more accurate quotes, please include your CAD source files here. DXF and DWC files accepted. 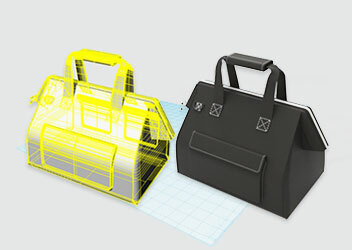 Accepted file types: dxf, dwg, jpg, ai, eps, pdf.